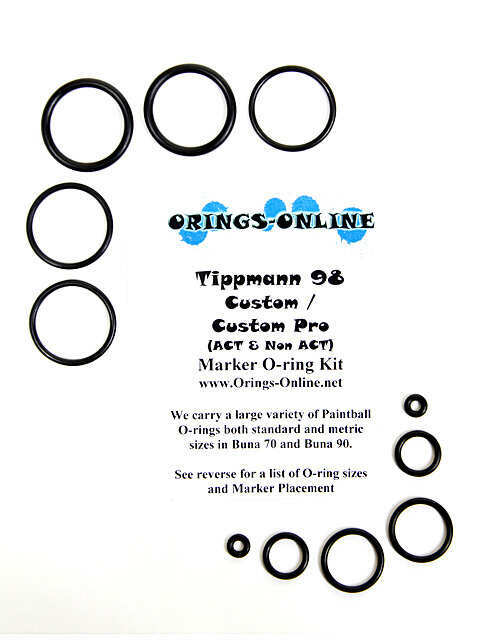 Tippmann 98 Custom / Custom Pro O-ring Kit [tippmann_98_custom] - $3.75 : Orings-Online, Your only source for O-rings! This is an aftermarket kit designed to fit all of the parts of the marker including the bolt and any regulators. 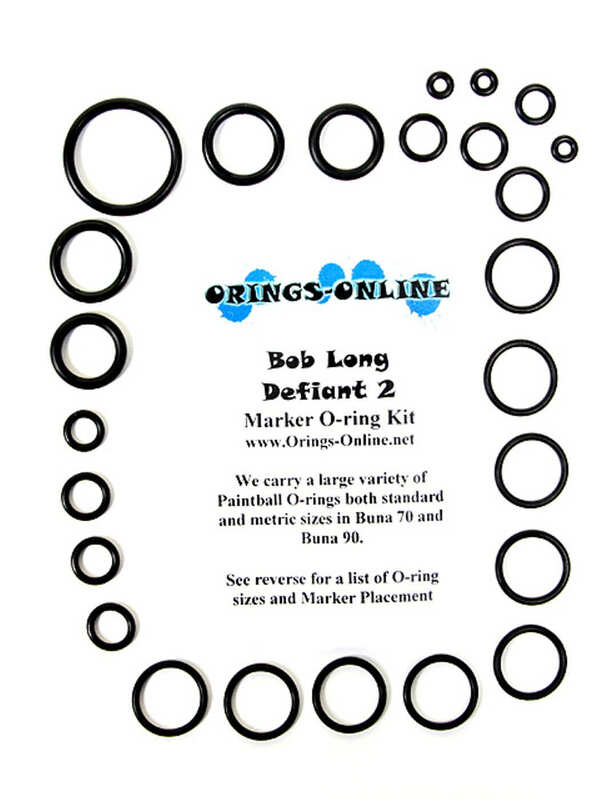 All of the O-rings in this kit are made from Buna-N rubber and are in the same durometer / hardness found in the markers manual or from the original marker itself. 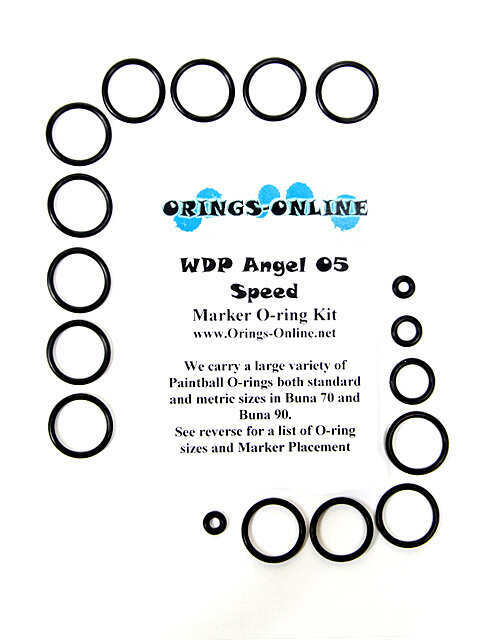 Most of our kits now include extra o-rings based on common aftermarket additions, customer requests, and or o-rings that we feel are more heavily used in the kit. Our kits do not include any U-cup Seals, Square rings, X rings or Quad rings unless specifically stated. The picture shows what is included for one complete rebuild. The insert includes a list on the reverse side explaining placement within the marker. 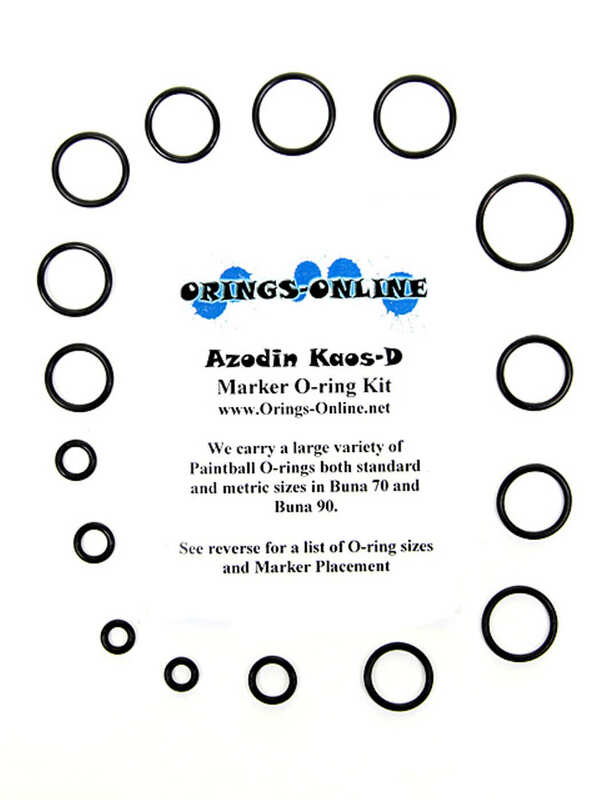 O-ring Sizing Charts are available by clicking here. No, they are aftermarket kits designed and put together by us. Each kit is intended to fit the marker or regulator named in the title of the auction. What's the difference between urethane, silicone, viton and buna o-rings? The differences between these materials have a lot to do with what chemicals and temperatures they can tolerate, but they also have a lot to do with personal preference as well. Some people prefer silicone because they say that it withstands more abuse, and some people say buna does. From our experience, Buna is by far the way to go with paintball. It is good in a wide array of temperatures, can last a long time, seals great, and is nice and inexpensive. And what is the 70 and 90 durometer thing you keep mentioning? The 70 and 90 durometer is simply a measurement or the hardness of the material. Different hardnesses are better used in different situations. 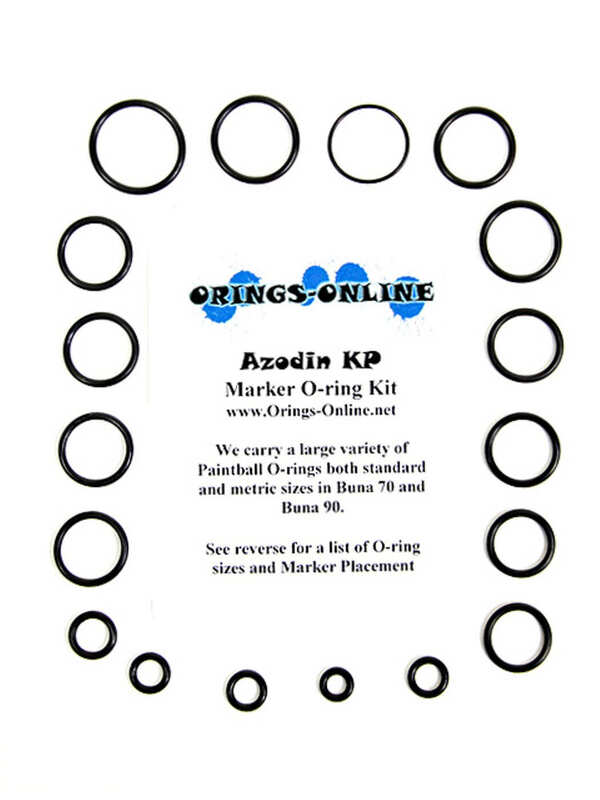 All of our kits follow the marker manufacturers recommended durometer for each o-ring. 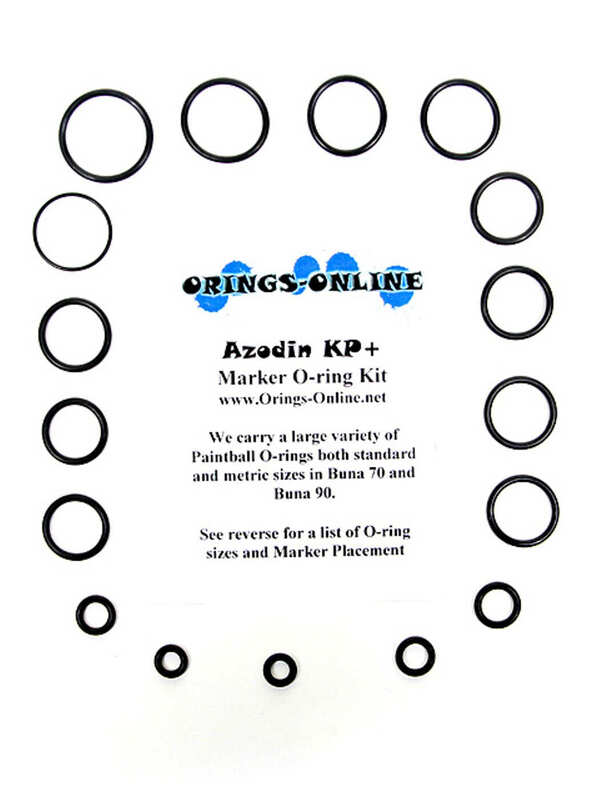 Your kit will have some o-rings in 70 and some in 90 or other durometer, but they will be the same hardness as the ones currently in your marker already, respective to each o-ring.